There is no chess opening that is the ultimate best. Instead, the best opening is the one that suits the individual style of the player. It will also depend on whether you are playing white or black. Nevertheless, there are openings that work and those that don’t. Learning the most popular openings played at master and grandmaster level is a great way to improve your strategy. Sicilian Defence: every opening that starts with 1. e4 c5 is a variation of the Sicilian Defence, with Najdorf being the most common and the most respected: 2. Nf3 d6 3. d4 cxd4 4. Nxd4 Nf6 5. Nc3 a6. This is often played by Bobby Fisher and Gary Kasparov. Another viable option for black is to play e6 instead of a6, transposing into the Scheveningen Variation. Nimzo-Indian Defence: 1. d4 Nf6 2. c4 e6. 3. Nc3 Bb4, pinning the white’s knight. This is one of the best responses to d4 and it was introduced by Aron Nimzowitsch, one of the leading figures of the hypermodernist school of chess. The best way to combat this defence is the Rubinstein System, responding with 4. e3, after which black usually castles. Capablanca variation 4. Qc2 or the Kasparov variation 4. Nf3 are also among the possibilities for white. Petrov Defence: considered a safe opening because it results in a high percentage of draws, it starts with 1. e4 e5 2. Nf3 Nf6. White usually continues with Nxe5 (the Classical variation) or d4 (the Steinitz Variation). Grandmasters who often played Petrov defence as black include Karpov, Marshall and Kramnik. 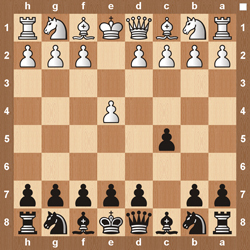 Queen’s Gambit: One of the oldest known chess openings, it is a gradual, strategic opening in which white is attempting to dominate the centre. It starts with 1. d4 d5 2. c4. After this, the game can go in many different directions. 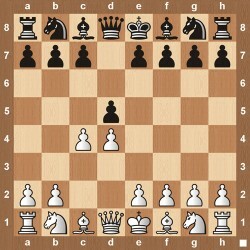 The most popular response is e6 (Queen’s Gambit Declined), or c6 (the Slav defence). Capturing the pawn on c4 (Queen’s Gambit Accepted) is also a valid option for black, after which white usually plays Nf3. Ruy Lopez (Spanish game): starting with 1. e4 e5 2. Nf3 Nc6 3. Bb5, this is an opening with a lot of variations. 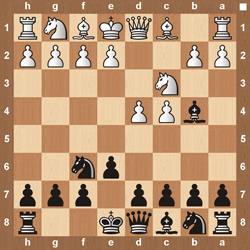 It is a very popular and gradual opening strategy where white aims to put a stress on black’s e5 pawn. It most often continues with a6 by black and then 4. Ba4 Nf6 (Morphy Defence). It is frequently played by Viswanathan Anand, one of the world’s No. 1 grandmasters.